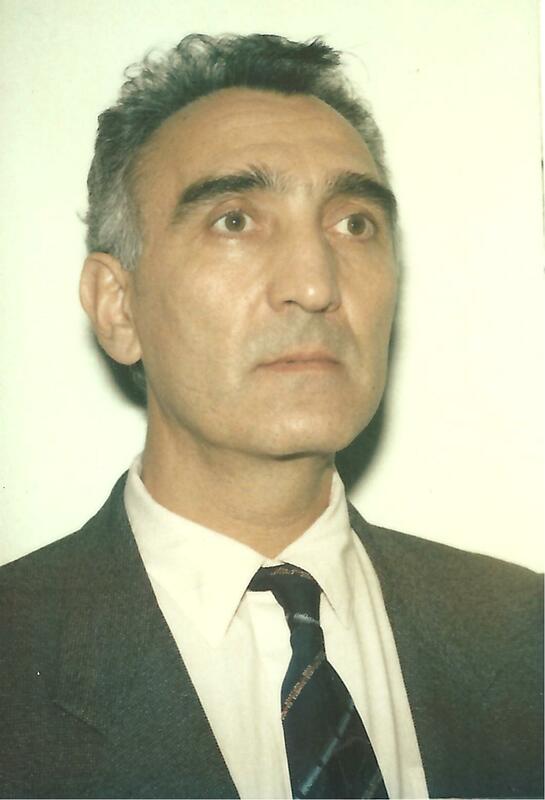 Let me introduce you to Arkady Zilberman, the creator of Language Bridge method for learning spoken English. Mr. Zilberman is an inventor, simultaneous interpreter and educator who patented his Language Bridge software and uses it successfully to teach English. Before he tells us a bit more about his unique software, in this exclusive interview for www.engleskizapocetnike.com ( Serbian version), I asked him to reveal to us how to start speaking a foreign language fluently and to give us some practical advice as to how to learn a language. Marina Petrović: Can we start this interview with your first recollections of learning a foreign language? Arkady Zilberman: I was lucky: I easily learned foreign languages because somehow I was thinking in the target language from the very beginning. I studied this phenomenon for many years – why some people learn a foreign language easily whereas most of us struggle with it. Here are the results of my research. Thinking in a foreign language is an important goal that brings you one giant step closer to becoming fluent. It is not necessarily easy to think in a new language (especially if you’ve never done it before) but it is still simple – there is no magic here. First time language learners often believe that if they study long enough and hard enough they will eventually just start thinking in the target language, as if a switch had been flipped. Now I know better. Our brains are pattern-matching machines and one of the major cues they draw upon is that of a contextual environment. Never learn separate words, from the very beginning learn whole sentences in an emotional context. The first advice I give to my students is to select a new name in the target language and use it all the time when you are trying to think in a new language. Marina: Can you clarify what you mean by “new name” and how it can help in learning a foreign language? Arkady Zilberman: Students should have fun and pretend that they are native speakers of the language they are learning. They should empty their mind of their original culture for a while in order to better absorb the language they are learning. On this ground, we recommend our students to use new English names during English learning. Students do not give up their original identity, and that is certainly not the aim of language learning. But they do acquire the ability to understand the values and a way of thinking of another culture. Some people are visual learners and some people learn better by listening. However, all learners can benefit from doing three actions at the same time: reading, listening and repeating over and over to reinforce their learning. Performing all three activities simultaneously will train the mind in the new language and will form the new language speech center in the brain. Your original name will automatically activate the native language center, which is why the new English name acts so well with adult learners when they learn English. Marina: Is it also advisable for beginner learners to start speaking in English as soon as they start learning the language? My adult students are always afraid of making mistakes. How to overcome their fear? Arkady Zilberman: I hate it when I hear people saying they’ll wait until they are “ready” before they speak. This is a procrastination technique motivated by nothing more than fear of failure. Fail fast & fail often and you’ll succeed way more regularly. Slipping up and making some mistakes while learning a language is totally natural; avoiding doing it is avoiding using the language as it was meant to be used; - for communication! There will never be a day after years of study when you wake up, look at yourself in the mirror and realize that the promised day has finally arrived and you suddenly start effortlessly speaking like a native. It’s ridiculous to consider such a thing if you haven’t already been practicing. Marina : Can you give our readers some practical advice? Arkady Zilberman: The most important and at the same time easy advice – change your learning habits! Learn 20 words in a few sentences now and then use the hell out of them. Be imaginative. Then learn more words in sentences and you’ll see that it becomes easier and easier, especially if you use your new sentences fast and automatically so that no cross-translation into the native tongue is involved. And you will find yourself on a fast track to success of thinking in a new language! During the early stages you may be using more of your native language than your target language, and that is fine. You will also probably be translating at first rather than “thinking fluently,” and that is fine, too. What is important is that you make a conscious effort to use the target language in your thoughts, not just in your conversations. I can promise one thing: if you make a conscious and continuous effort to think everything you can in your target language, you will begin to surprise yourself. Marina : “Use the target language in your thoughts” is such a precious piece of advice, and yet foreign language teachers rarely give such practical hints to their students. Do you think one can learn a language without a teacher? As you can see there's an ongoing survey about this topic on the blog. Majority of the followers think one needs a teacher. What is your opinion? Arkady Zilberman: The answer to this question has a wide range of answers. On one extreme there are linguists like Nikolay Zamyatnov who believes that “You can’t be taught a Foreign Language” and has published the book (in Russian) with this title. However, he explains in his book that a learner can learn a new language on his own or with a teacher if he would be able to overcome many misconceptions of the conventional methods of learning English. I personally believe that a learner can learn a language without a teacher; however, I would not recommend this approach because it would not work for most learners. Very few adult language learners are able to preserve their visual capacity and learn a language by associating English words with their images or feelings directly. Most adults after years spent in schools became logical and try to memorize English words as respective translations into their mother tongue. This information can become helpful when reading the English text but is useless when trying to communicate in spoken language. Acquiring fluency in English is the learner’s responsibility but he or she would have much higher chance of success if guided by a teacher who will give advice and help in changing their learning habits. A student integrates with the language fast when using self-study software, allowing him to listen, imitate and practice English rather than memorize rules and words. A student (not the teacher!) spends the major portion of the time talking/training in the English language using multimedia resources. Students have to relax and imitate the rhythm of a new language. Pronunciation practice is best done on your own in a form of play-acting. Marina: Arkady, you say that “learning a language without a teacher would not work for most learners but will work for some". Can you elaborate on this answer and give some quantitative estimates? Arkady Zilberman: It will work in approximately five percent; the remaining majority (about 95%) will encounter great difficulties. Five percent of people somehow preserve the visual ability that most children demonstrate and they can learn any language without a teacher. Most people at the age of 18 lose their ability for visual perception of life and become logical. We learn so many subjects in school as information that we learn English as information too, that is logically. In this case you can’t avoid the problem of cross-translation if you are not visual! Example: assume you want to learn a word “mountain” in English. Visual adults will see the image of “mountain”; logical adults will translate the word mountian into Serbian and will try to memorize this as a pair: “mountain” – “planina”. The first group can learn English without a teacher; the latter group should look for teacher’s help, especially the teacher who understands the cross-translation problem. Marina: My adult students often say “I cannot learn English quickly, as I used to do” or "I wish I had started learning the language when I was a child!" Is it true that adults cannot learn as easily as children do? Arkady Zilberman: Children learn naturally, but adults can learn faster than children. It is always disappointing to hear adults say that they are incapable of learning a foreign language. They have experience and knowledge that can help them learn faster than any child by overcoming misconceptions. Students should not worry about how they sound, just focus on communicating. They should not think that their grammar and pronunciation are being judged; just try to get their meaning across. Until a student is fairly comfortable in the language, correct grammar should be a secondary consideration. I do not believe grammar should be taught using rules or tests. Grammar is an abstraction, a theoretical explanation of the function of words. Trying to memorize the rules of English grammar in the native language (! ), however, can be a distraction from learning the language. Usually students become rather stressed while doing exercises and answering questions that test their knowledge of grammar. In the end, it is only through enough exposure to the language that grammar improves because we speak using prefabricated phrases. In learning a language a student is not acquiring knowledge so much as a skill that is best trained by repetition. A student is learning by becoming, not from theory. With no tests, no questions from teachers, and no grammar drills, students’ skills take a great leap forward! They achieve their first language breakthrough fairly soon by revealing that they can speak using prefabricated phrases that are not memorized but rather trained during multiple concurrent repetition with the recording. Marina: This is exactly what you offer to English language learners with your Language Bridge software. In the next part of our interview, I’d like you to tell us more about it. In the meantime, I’d like to invite the numerous followers of www.engleskizapocetnike.com blog to visit the Language Bridge site and watch the videos. I’d like to invite all the readers to ask questions in the comments and see for themselves how Language Bridge works. Is it possible to download a trial version from your site? 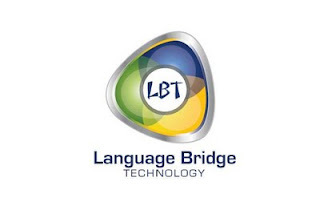 Arkady Zilberman: The Language Bridge Technology Company decided to offer the LB software for free to all teachers and students till October 1st, 2011. We believe that learning by doing it is the best approach. We also believe that leaving the door wide open for free use of the most efficient method of learning English will become a most resourceful way to create a brand name with great testimonials. To receive a free complete version of the LBT software you will need to send a request to info@language-bridge.com with a brief statement of your objective in learning spoken English. We expect that in return for this free software offer the users will share with us their experience and progress in acquiring fluency in English. You should include in your request which version of software you want to receive. The list of available software is given on Download page. I’m looking forward to presenting LB software in the following blog post, as well as answering all the questions your readers might have in the comments.